Doctors with Africa CUAMM is one of 176 organizations from around the globe that have just signed a letter to the G7 Health Experts Working Group. The letter is the outcome of a meeting of the G7 Global Taskforce that took place in Rome on 1-2 February 2016. Taskforce participants wrote it to ensure that topics such as global health and sustainable development are given top priority during the upcoming meeting of the G7 Health Experts Working Group. Universal health coverage for 2030 sustainable development: to ensure equity and the right to health for all, putting an end to poor health conditions and coping with infectious disease outbreaks with universal health services that are accessible to all. 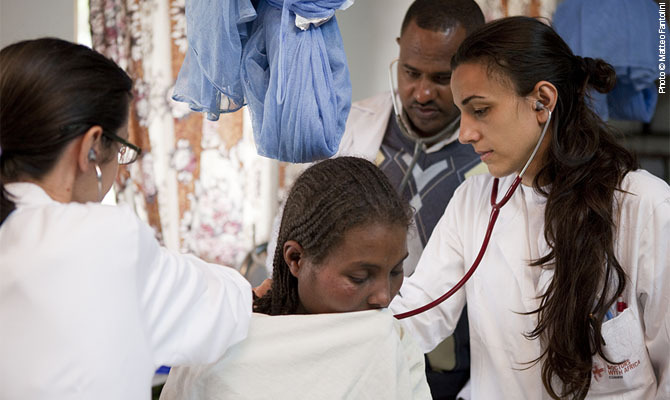 Prevention and responses to global health threats: to provide fast and effective international help to support the most vulnerable countries, those which cannot cope with epidemics alone. Increased aid for health to end ongoing global health crises: to save lives and defeat major epidemics through the Global Fund to Fight AIDS, TB and Malaria, as well as child and maternal mortality, nutrition and polio. Discover more about the letter and this initiative .